La Colline Cell White is the result of the latest breakthroughs in skin-lightening technologies. It offers a whole range of beauty effects, in particular through the innovative LUX-Factor (Lightening Ultimate X-Factor). This creamy mask delivers immediate comfort while lightening the complexion in an instant with its light-reflecting pigments. 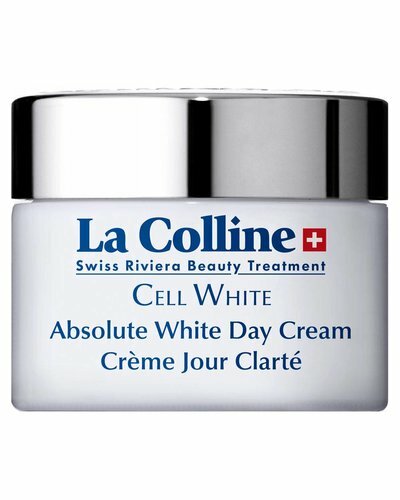 This smooth cream is a powerful radiance reviver that repairs the damage caused by external stress factors. 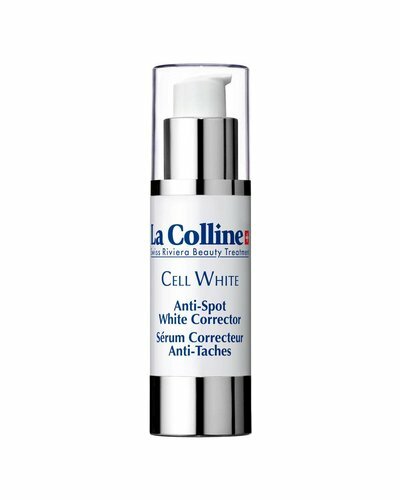 This innovative concentrate effectively conceals pigmentation spots deep-down while helping preventing further formation. This water-resistant emulsion combines the skin lightening action of vitamin C with the antioxidizing power of artemisia to combat the effects of pollution and free radicals. This light yet ultra-effective cream targets unsightly dark spots and irregularities to brighten the complexion in an instant. 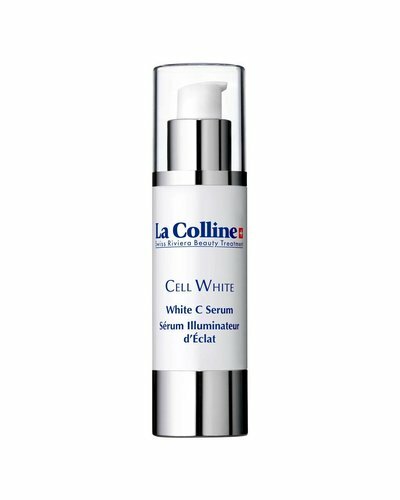 This innovative serum combats hyper-pigmentation and cutaneous aging with a synergistic blend of active ingredients. 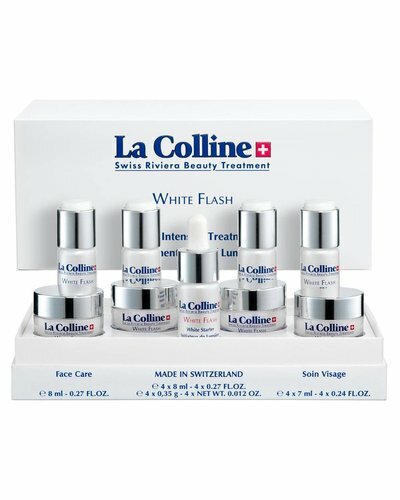 The prestigious White Flash White Intensive Treatment is a 5-weel cure that wields its action gradually. 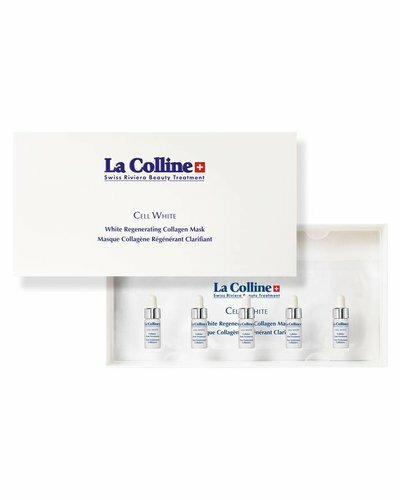 The ideal preparation for the subsequent brightening formulas, this lotion helps prevent dark spots. This smooth milk gently cleanses skin eliminating all traces of makeup and everyday impurities.